Thiess Büttner (born in 1966) studied economics and international business at the universities of Göttingen and Constance from 1986 to 1993, and completed his doctoral degree at the University of Constance in 1997. He then worked at the Center for European Economic Research (ZEW), where he later became head of the Corporate Taxation and Public Finance Research Department. He completed his habilitation at the University of Mannheim in 2003. In 2004, he was appointed CESifo professor of public finance at LMU Munich and head of the Public Sector department at the ifo Institute for Economic Research in Munich. He has spent research stays at various universities and research institutes in locations such as Kentucky (USA) and Oxford (United Kingdom). 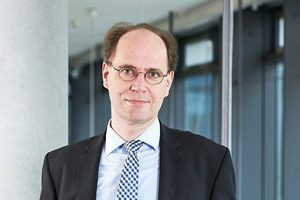 Professor Büttner has been Chair of Public Finance at Friedrich-Alexander-Universität Erlangen-Nürnberg (FAU) since 2010. He has been chairman of the Academic Advisory Board at the Federal Ministry of Finance since 2015. Professor Büttner’s research priorities include tax competition, fiscal federalism, how businesses choose their location, and empirical taxation studies.